New house decisions are happening around here!! Even though I know we still have a while before our home is complete, we are keeping our fingers crossed in hopes that they break ground in the next few weeks! I finally bit the bullet yesterday and ordered these pendants that I have been lusting over for years! I kept trying to find a cheaper version, but I just couldn't find anything that I loved near as much! 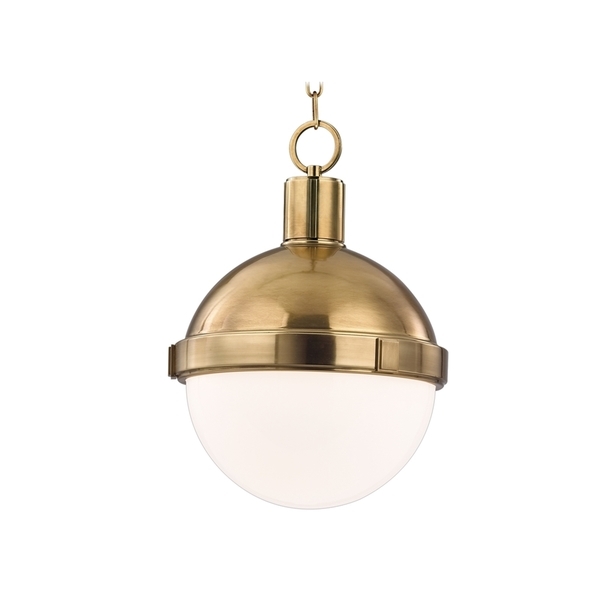 So, I went with two of these in the aged brass that were medium sized. And I can't stop dreaming of staring at them hanging over our island in the kitchen. 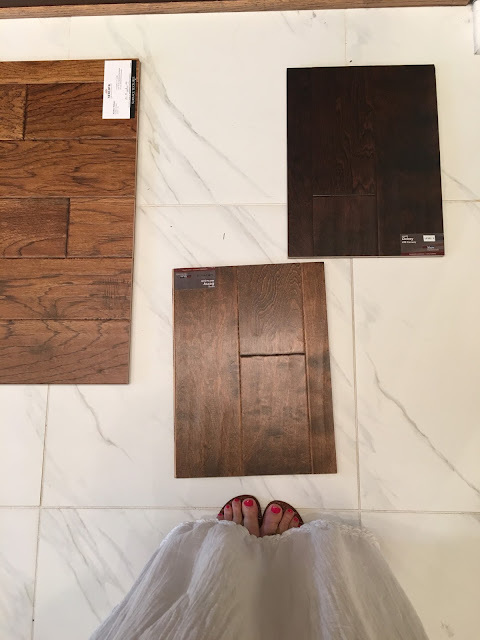 We picked out our wood floors, and while there were so many choices, I feel good about our decision! We went with the one in the middle that is the closest to my feet. It's by Shaw Hardwood and the color is 460 Surfside. 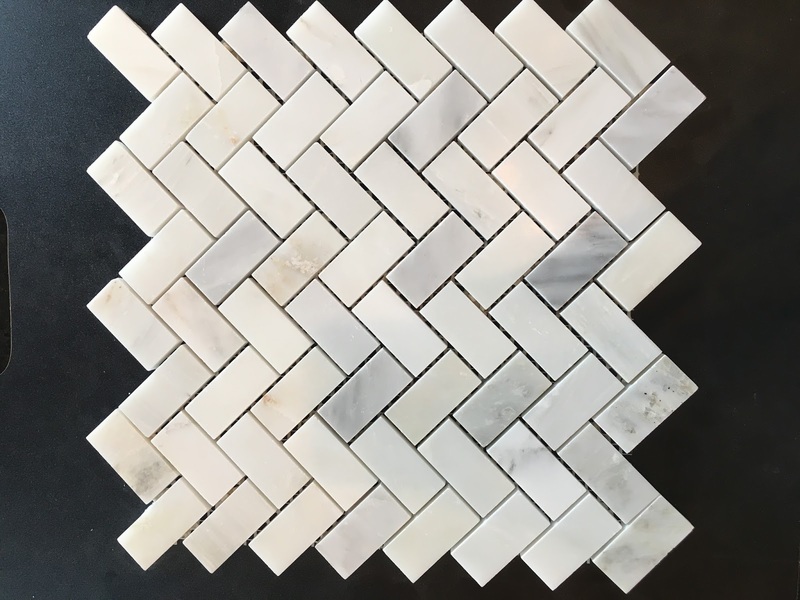 And I decided on this herringbone marble tile for the fireplace surround! Taylor and I attempted decorating cookies with royal icing yesterday. In my head they looked totally different, you know like the ones on Pinterest...haha! But Taylor and Carson didn't mind the look at all and gobbled three of them up before dinner. 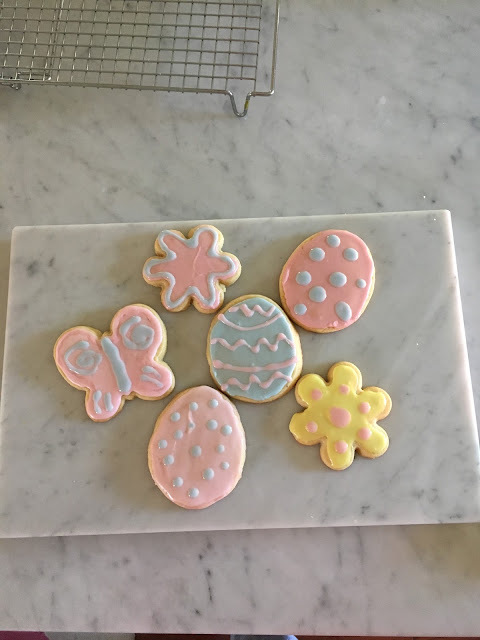 I'll share the recipe I used later this week along with another favorite Easter cookie of mine. And speaking of Easter, I finally found my Easter dress! I shared it in this post on Sunday, but I know a lot of you don't check blogs on the weekend! You can still get it by Saturday if you order today! This silly goose twinning with me.....hair and fishy face ;) And her cute little dress is from Old Navy! 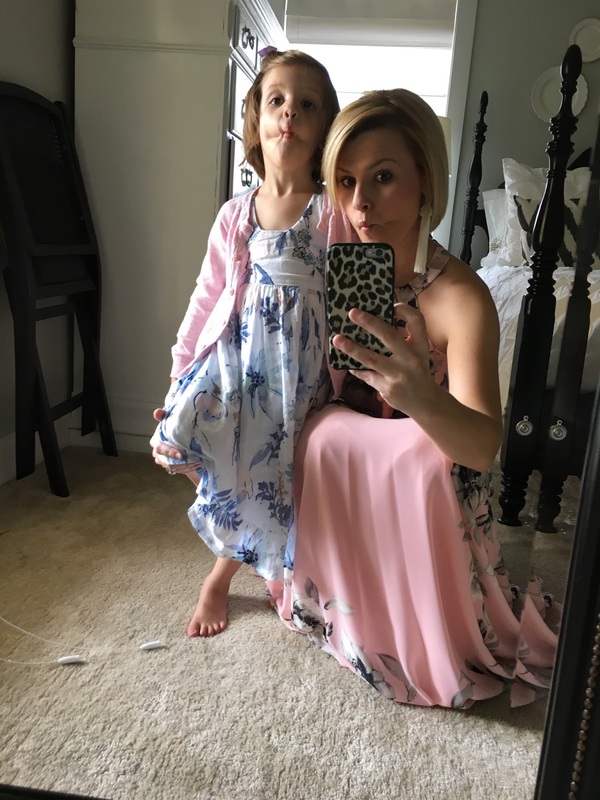 They have the cutest spring clothes for girls right now! 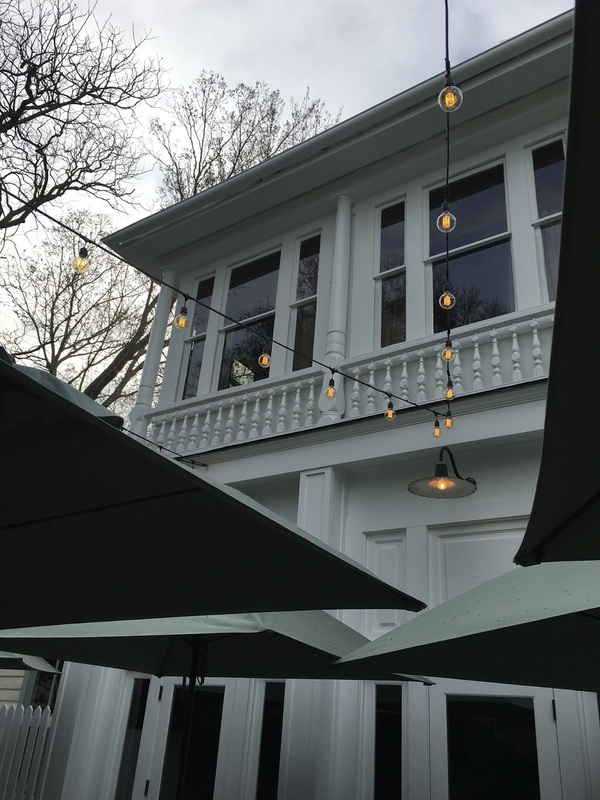 Todd and I shared the most amazing cocktails and appetizers last Friday at the Old Village Post House. I'll be sharing full details of what we ate and what I wore soon, but until then, how adorable is the patio we sat on!!! Pretty sure I could have sat out there all night. 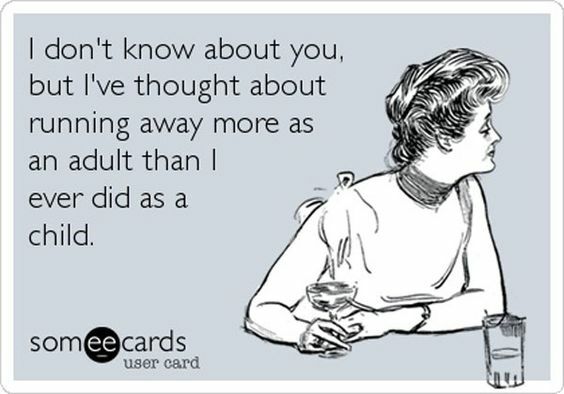 And last...because these e-cards, no matter how many times I read them, they still make me burst out laughing! Love those floors and those lights... swoon! 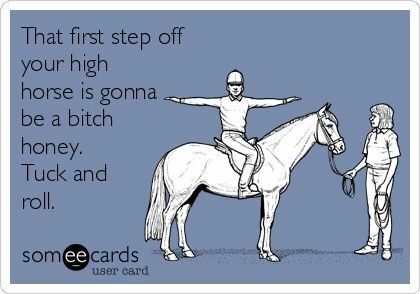 BTW - That first ecard is hilarious! 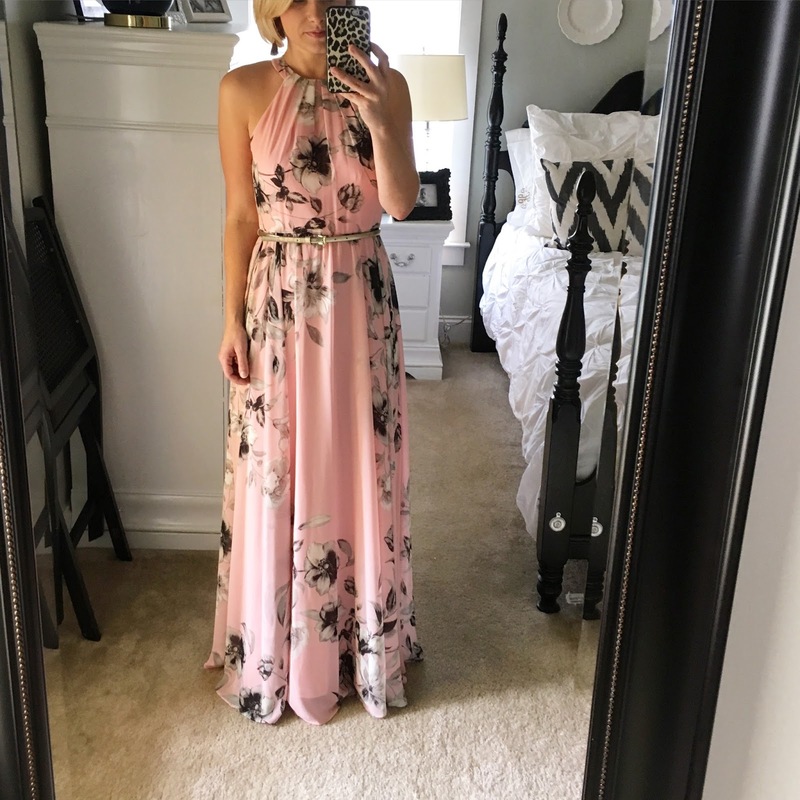 That pink maxi is the cutest! 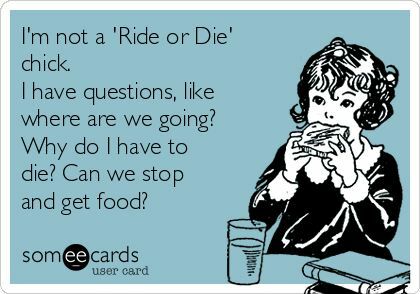 Love the ecards! The pendants are amazing, I would have picked the same floors (they look similar to our downstairs flooring and I love it) and Old Navy does have cute girl items right now. My cart is forever overflowing with things for my little ladies! My husband and I are like you and Todd, deciding if we want to buy an older house or build. I'm overwhelmed by choices!! Im curious if we were to build, do we have to start picking out floors and light fixtures etc before we start construction?? Or how much time do we have? Thanks! Such cute cookies!! Your Easter dress is gorgeous and that last e card speaks to me!